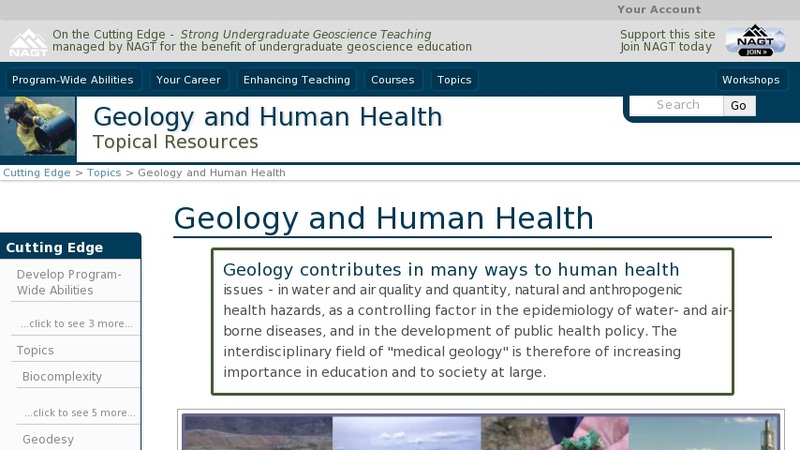 This site contains a variety of educational and supporting materials for faculty teaching in the emerging field of geology and human health. You will find links to internet resources, books, teaching activities, and a group email list, as well as posters, presentations and discussions from the spring 2004 workshop on Geology and Human Health. These resources reflect the contributions of faculty members from across the country and the collections will continue to grow as materials are developed.